On May 2nd, New Bloom’s Brian Hioe sat down with Dr. Tsay Ting-Kuei in New York City, for an interview about the formation of the Free Taiwan Party. Hioe and Tsay then met up again in late July in Taipei, during the Ministry of Education occupation, for some follow-up questions. This was our second interview with Tsay, the first was conducted in December of last year, also in New York City. The present interview was conducted as part of our series on “Third Force” parties in Taiwan. Although the situation with the relation between the third parties in Taiwan has actually changed somewhat since the end of July, we believe the interview still to be insightful about the Free Taiwan Party and its political positions in the present. 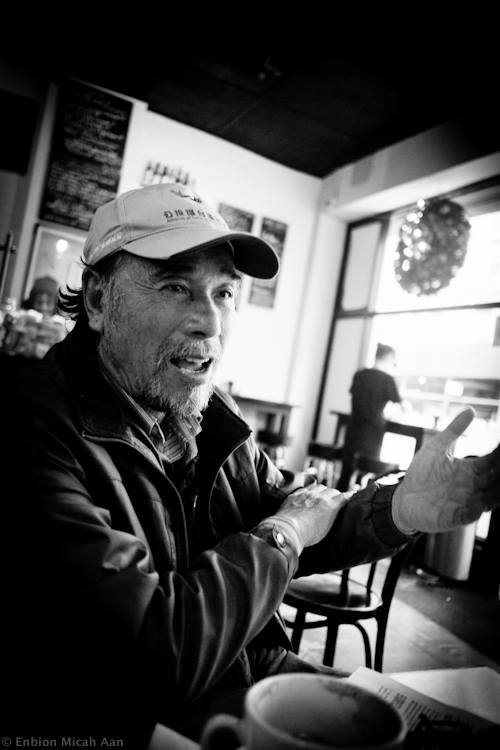 Tsay Ting-Kuei (蔡丁貴) is a longtime Taiwanese independence activist, dating back to the Martial Law period, during which he was blacklisted from returning to Taiwan because of his political activities abroad while studying in America. 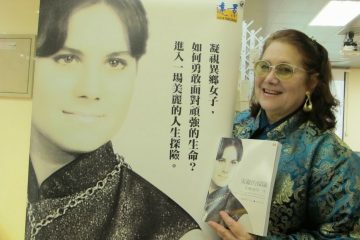 As a result, he was only allowed to return to Taiwan after the end of martial law. 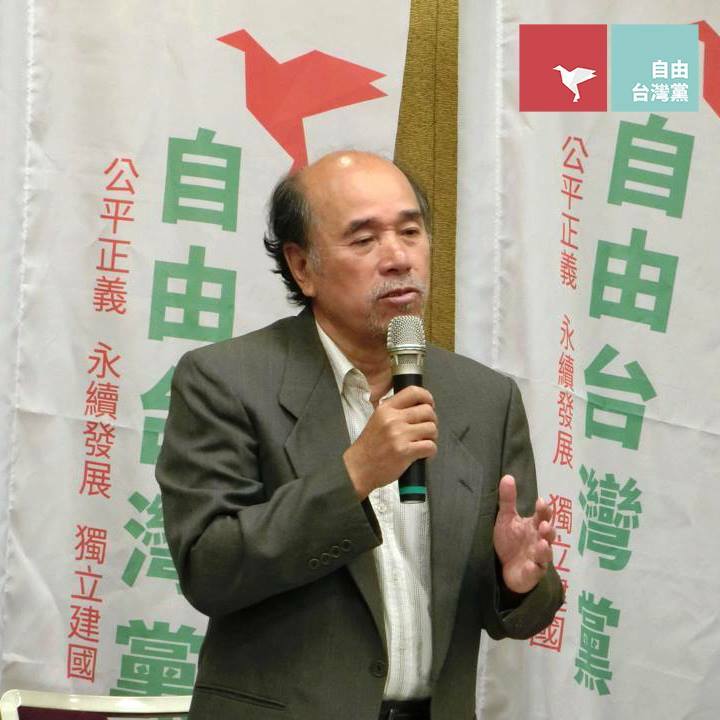 In 2008, Dr. Tsay led the Taiwan Association of University Professors on a hunger strike for referendum reform, and as chairman of the Alliance of Referendum for Taiwan, he has continued activism on behalf of the cause of Taiwanese independence. 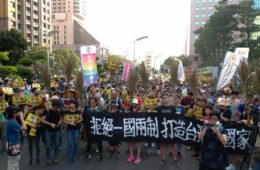 AORFT actions have included an occupation outside of the Legislative Yuan which has lasted for over 2000 days, toppling the statue of Sun Yat-Sen in Tang De-jhang Memorial Park in Tainan in February 2014, and participation in the Sunflower Movement. He teaches at National Taiwan University. Brian Hioe: Could you begin by introducing yourself? Because I began the last time I interviewed you by asking you for a self-introduction, but some people might not have read that. Tsay Ting-Kuei: I’m Tsay Ting-Kuei, I’m the Executive Director from the Alliance of Referendum for Taiwan. Recently, I’ve been involved in organizing the Free Taiwan Party. BH: The first question I want to ask is in regards to the Free Taiwan Party’s purpose, what would you say is the purpose to create a third party outside the KMT and DPP? TTK: Fundamentally, it’s like this. Taiwan has about 270 political parties right now, but the most important are obviously the KMT and the DPP. 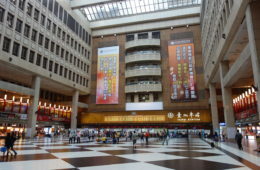 The third and fourth largest is the Taiwan Solidarity Union and People First Party, who both have representation in the Legislative Yuan. As for smaller parties, they aren’t represented in the Legislative Yuan. Why create a political party? From the student movement last year to the present, it is clear young people are dissatisfied with the KMT as well as the DPP, so there’s a need to create a new political party to allow these young people who have started to become interested in politics as well as those Taiwanese independence activists who are dissatisfied with the DPP to have representation in elections. What is the Electoral Strategy of the Free Taiwan Party? BH: How would you respond to those who say that the KMT is too strong, so to oppose them, you need to go through the DPP? People talk about the possibility of dividing votes, for example. TTK: To defeat the KMT, of course, does require the strength of the DPP. But if we depend alone on the DPP for elections, there’s no way to ascertain that the KMT will be defeated. Although support for the KMT is low right now, support for the DPP is not incredibly high either. Importantly, in 2000, voter turnout was 82%. In 2004, it was 80%. In 2008, it was 76. In 2012, it was 72. So in twelve years, voter turnout has decreased from 82% to 72%, a decrease of 10%. We believe this ten percent is probably those who are dissatisfied with the DPP or the young people who aren’t so concerned with politics that didn’t go out and vote. What kind of platform can we use to allow these people who are dissatisfied with the DPP or young people uninterested in politics to come out and vote? As such, with our stance, we hope the DPP can orient to the center and the Free Taiwan Party can openly express Taiwan independence and stand on the left. As we’re used to saying in Taiwan, this is is the position of the pro-independence Left. With this kind of position, we hope to call out those people who were dissatisfied with the DPP but were willing to go out and able to vote to come out again. So our aim in terms of strategy is to overturn the KMT and not to allow it to continue as a governing party. Of course, to do that you need to work with the DPP, but outside of that, for there to be a Taiwanese independence party, it requires the support of voters in order for us to represent them. Because the voting system in Taiwan has two ballots, voting for your district and voting for a party is separated. There are two ballots for voting for legislators. Along those lines, we support voting for the DPP for district representative and presidency in order to defeat the KMT, but in regards to voting for a party, we call for voting for the Free Taiwan Party. This way, it won’t all just be the DPP. At the very least if this strategy succeeds, there’s a small party which can be outside of the DPP. 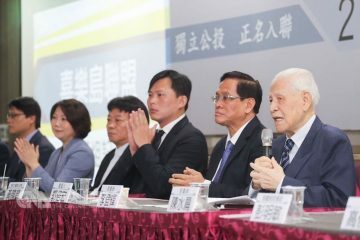 But in the worst case scenario, if the DPP loses, if this party is able to achieve representation, then it can represent the voice of Taiwanese independence and advocate Taiwanese independence in the Legislative Yuan. BH: Along these lines, how do you see the relation of the Free Taiwan Party with the Social Democratic Party and the New Power Party? 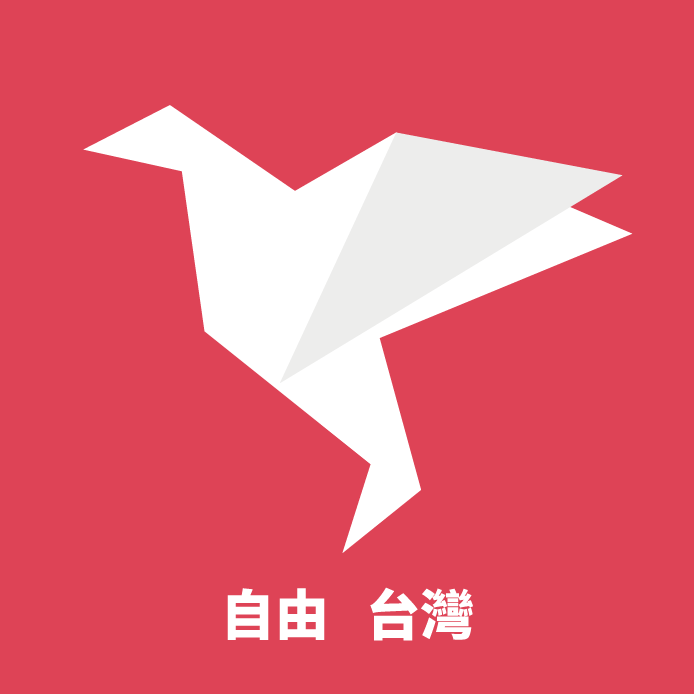 TTK: The Social Democratic Party and the New Power Party were originally part of the Taiwan Citizen’s Union, which was tied with Lin Yi-Hsiung. But it split into two parties. Why did it split? I don’t know either. However, in regards to these two parties and the Free Taiwan Party, we can say that for all three, a lot of our members were people politicized during and in the aftermath of the Sunflower Movement. In terms of image, both these parties aren’t bad in terms of how they appear. And their focus is to reflect the will of the people. But their focus is placed on district legislators. They want to compete with the DPP in that respect. And if the DPP doesn’t withdraw and the one of the two parties also compete in the election, there would be three competitors, one from the KMT, one from the DPP, and one from the SDP or NPP. In such a case, the KMT candidate would probably win. As for the Free Taiwan Party, our electoral strategy is different, we would emphasize district representatives less. 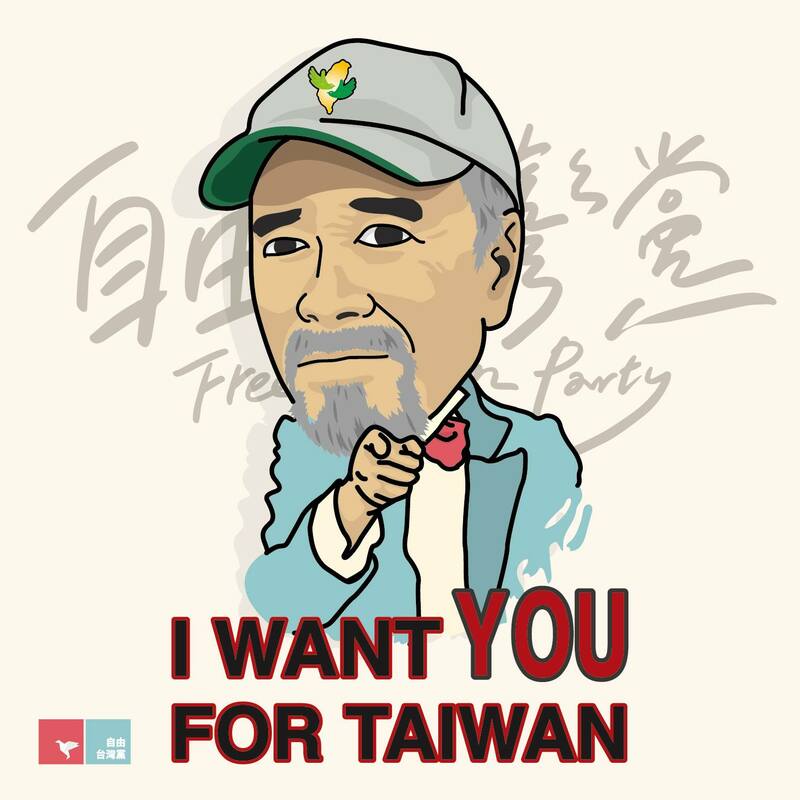 Although legally there’s a need to put out ten candidates for district representative for every party, for the Free Taiwan Party, we want to find individuals for 2018 who would participate in local campaigns with young people. This time is a warm up. That is to say, if the SDP or NPP competes for district representative, they will split the vote with the DPP, it seems very unlikely they would split the vote with KMT voters, after all. That will affect the DPP. It’s still better to coordinate with the DPP at present. Our importance is placed on party votes, so there won’t be too much conflict between us and the DPP. On the other hand, the SDP and NPP advocate going beyond blue and green divisions, which is to say that they don’t like neither the KMT nor the DPP too much. But they won’t advocate Taiwanese independence, they talk about free democracy in the abstract, and won’t talk about issues of Taiwan’s sovereignty. 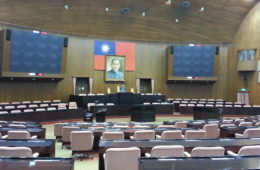 The differences between the Free Taiwan Party, the SDP, and the NPP is in regard to electoral strategy, with the Free Taiwan Party’s focus on party votes and their focus on votes for district representative. In terms of platform, it is where they talk about free democracy, but we talk about free democracy and Taiwanese independence. BH: How do you, as the Free Taiwan Party, distinguish yourself from other parties? TTK: I believe the fundamental differences political parties is between independence and unification, but we can make further distinctions. From the Left to Right, we have radical independence, Taiwanese independence, ROC independence, ROC unification, Chinese unification, and radical unification. Between these six distinctions, there are three for both unification and independence. 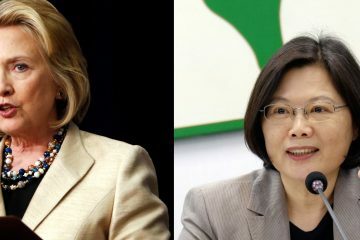 I believe that there aren’t parties out there which are advocating for Taiwanese independence—that is immediate independence. There are individual people who push for this, but not political parties. Not even us, since we’re not calling for immediate Taiwanese independence either. There’s no ability to do this. There are other Taiwanese independence parties apart from us and the Taiwan Independence Action Party. The Taiwan National Party was established by Liu Zhong-Yi. 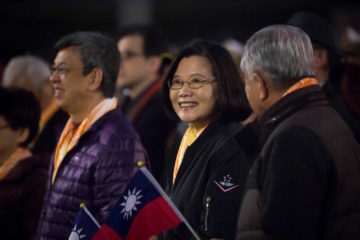 The Taiwanese Independence Party was formed by them this year as well, they believe that the name can be the Taiwanese Independence Party is a sign of progress, because the name of “Taiwan independence” would be accused of separatism in the past. So they accuse us, saying that we’re not willing to use Taiwanese independence in our party name. Since we’re the Free Taiwan Party. BH: Can you talk a bit about your relation to the recently formed Taiwan Independence Action Party? TTK: The Taiwan Independence Action Party was formed from big names of the Taiwan independence movement, Peng Ming-Min and others. This was the most recently formed party. Of the pro-independence camp, there are so many parties, but having too many might not be good for the independence movement as a whole. 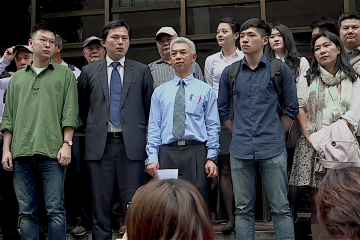 They met with us recently, the day after the textbook protest on July 23rd. They know that we have a certain amount of organization spread across Taiwan, and they came and looked at our office. I expressed to them that society has certain hopes towards the pro-independence camp and that the platform of the Free Taiwan Party was that there had to be a party representative of the independence position in elections. So I told them we didn’t have conditions, just that if the Taiwan Independence Action Party was willing to participate in elections, we would unconditionally back their candidates. We might have some suggestions, but we would support them. Because there are people willing to participate in elections under the mantle of the Free Taiwan Party, we could turn them over and see if they are willing to consider them. 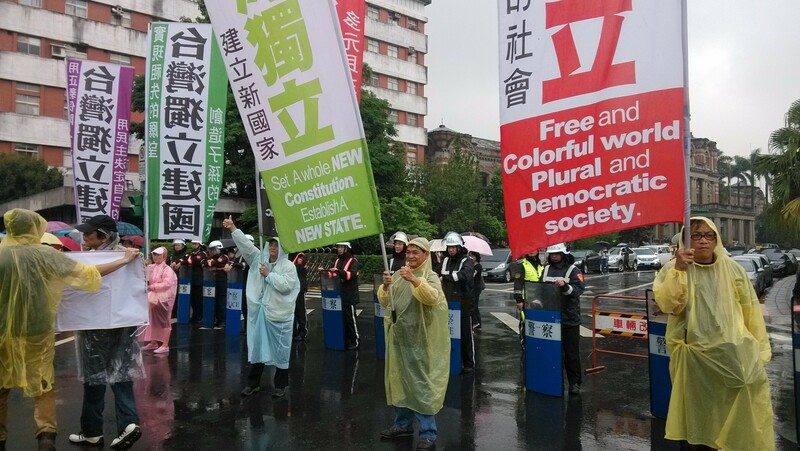 But we believe that the Taiwan Solidarity Union, the DPP, and New Power Party, aren’t Taiwanese independence parties. Rather they push for independence under the Republic of China, not Taiwan, that is ROC independence (華獨) than Taiwanese independence (台獨). The DPP won’t pay any attention to us, but for smaller parties, there’s no real need to find these other parties because of this difference in political position, there will be difficulties. The Taiwan Independence Action Party seems to have 3.9 percent support, we have 1.5 percent. But at the very least, we have over 5 percent together. The election threshold is 5%. So we recommend that we can work together to meet this. The Taiwan National Party may also be willing to follow. 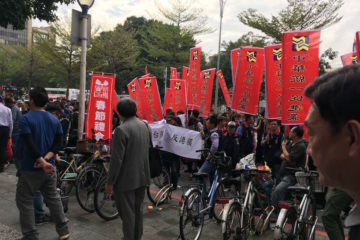 We said we wouldn’t oppose them going to talk to the New Power Party either, because it seems like the New Power Party and Taiwan Solidarity Union are known by people. They may still worry that support is not enough. But its a question of how to divide up resources, with differences in platforms. We’re willing to share resources, if they consider our platform. The DPP looks like it’s in the center right now, since maintaining the status quo is the center position right now. So the presidential election shouldn’t be such a problem. But for district representative, you need over 50%, so we suggest that the TSU, the DPP, and NPP come to an arrangement about district representatives. For party votes, leaving it to the pro-independence camp would be best. 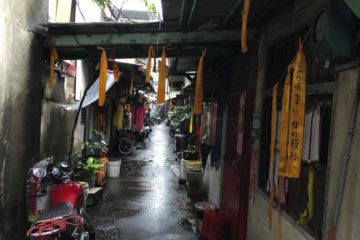 Because concerning the position of Chinese unification, that would be the People First Party. The furthest right would be the position of radical unification, which would be the New Party. There are others, like the White Wolf and his party. Well, that’s not a real party, so we can disregard that. But the KMT has been pushed to the right by society. In the past it usually discussed maintaining the current status quo, but now this has become the position of the DPP. It represents the DPP has shifted towards the center. The KMT has been pushed to position of radical unification, actually! Having an independence party can push for independence, because we can’t put all of our faith in the DPP. Tsai Ing-Wen needs to work with different voices to get elected, so it becomes unclear what her position is. Having a voice pushing for independence is a form of insurance. But because in the past, the pro-independence camp has always been part of the DPP, people aren’t totally clear on the system of elections—that there are two votes and that voting for the pro-independence camp won’t necessarily detract from the DPP, but is a form of insurance. BH: How would you push for Taiwanese independence through the Free Taiwan Party? What is your strategy to do so? Again, there are, of course, people who say the issue of Taiwanese independence is too controversial and there’s the question of the DPP’s relation to Taiwanese independence. TTK: The average person probably believes Taiwanese independence is a controversial topic. So that’s why the DPP is afraid to talk about Taiwanese independence in the present. As for my personal views, the emphasis of the DPP is on presidential elections, as for legislators, regardless of how they go about it, some people will be voted in. But to run for president, the percentage of votes obtained has to be over 50%. Like we can look at Ko Wen-Je, the mayor of Taipei, he doesn’t talk about Taiwanese independence as an issue either. It’s easier to get over 50% of votes that way. So we understand this need of the DPP. They cannot talk about Taiwanese independence publicly, but we see it as that they should stand on the side of the independence position in reality. If they don’t talk about it, then it falls to a small party like us to discuss the issue. Because in reality, the possibility of a small party like this to obtain votes is not too much. For example, the Taiwan Solidarity Union got three seats in the Legislative Yuan in the last election. That’s only three. But that’s already not bad. For a small party advocating Taiwanese independence, our strategy, our goal is to get three seats. That’s eight percent of the vote. If you want to run for president, you need fifty percent. Eight is easier. It’s a big difference! 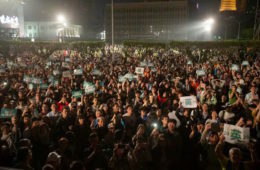 So we hope that to gather up the eight percent of people that advocates Taiwanese independence, to have them support the DPP for presidential elections so its easier for the DPP to get over 50% of the vote for president, and at the same time, to convince them not to not vote just because the DPP doesn’t discuss Taiwanese independence publicly. That would make winning the presidency more difficulty and just lead to the KMT gaining control of the legislature. And this way, with a small party that openly expresses Taiwanese independence, the DPP can be strategically ambiguous. BH: We discussed left independence earlier and you said the Free Taiwan Party is a left independence party. Can you explain that a bit? 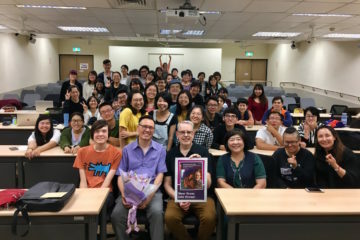 TTK: Concerning left independence, what I mean is that in regards to how we discuss these things in terms of Taiwan, the left-wing stands on the side of the politically underprivileged rather than the side of capitalists. To put it simply, the political views of capitalists are right-wing and more conservative. To stand on the side of the people is left-wing. In academia, there is much discussion of this, what exactly it is that constitutes the left-wing. We don’t have any so complicated a theory, except to point out that social inequality in Taiwan is very high and the distribution of resources is very uneven, so that the system favors those who support the KMT. Farmers, laborers, and the like don’t get their share of social resources. So we believe that to be left-wing is to stand on the side of these oppressed peoples, to represent them politically, and to fight on their behalf. In regards to Taiwanese independence, it’s very clear, it’s the belief that the ROC government is a government-in-exile and we wish to aim for a new constitution to correct this. 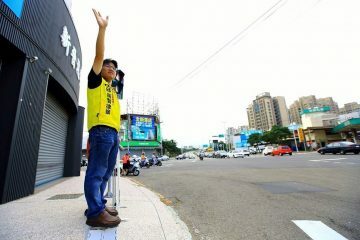 Within the Taiwanese independence movement, though, there is a problem which is that with Taiwanese independence advocates clinging to this the myth of a division between working within the system and working outside of the system. Which is to say that if you oppose the ROC government as a government-in-exile which does not represent Taiwan, then you shouldn’t vote, because to vote is to accept the ROC government as a form of compromise. We don’t believe that. We believe that if voting is a civic duty, like paying taxes, or serving compulsory military service, we have the right to participate in elections. Voting is not to acknowledge or not acknowledge the system as a whole, voting is to see if we can gain rights through participating in this civic duty. Politically, there are people that believe if we are to overturn the KMT government-in-exile, its best not to vote. But if this is so and nobody votes, it becomes that the KMT government is always in power, no? 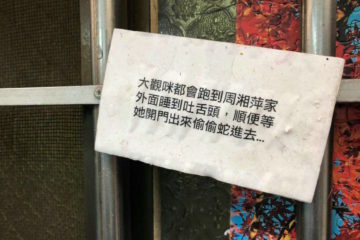 There’s some simple problems of logic in Taiwanese society because we haven’t gone through this experience, we end up tying ourselves up, or undercutting ourselves. As such, we haven’t been able to make progress. BH: The next thing I want to ask is about the Alliance of Referendum for Taiwan (ART). 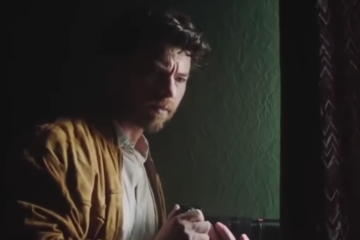 What will happen to the ART now? 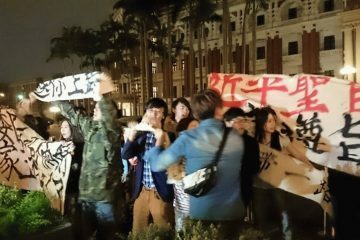 After the formation of the Free Taiwan Party, what now of the ART? TTK: The role of the ART now will probably to serve as the most important promoter of the Free Taiwan Party. Which is to say, that before the party started to take donations and accept volunteers, it was the ART that contributed the resources and manpower to help out. 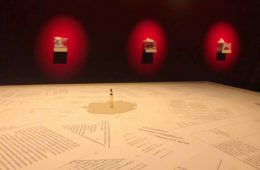 This is also because after the student movement, a lot of young people that support Taiwanese independence joined the ART, so everyone felt that the ART needed to expand itself and do more things and larger scale things. Because society had also shifted in this new direction, we also felt we should organize a political party which would openly advocate Taiwanese independence for there to be a way for there to be space for young people to express their political views. If in 2016 elections, next year, the DPP has two possible outcomes, which is victory or defeat. If the DPP wins, but the DPP is unclear about its planned relation with China in the manner of the KMT, that’s very dangerous. So there needs to be a small party to provide a form of oversight from the outside. Again, if the DPP loses, the international world will explain it as that Taiwanese people have already given up on Taiwanese independence. For there to be a small party which can really obtain this support, with at least three legislative representatives, there can be a voice in legislature which represents Taiwanese independence in the international sphere. I think this realistic view is very important for the Taiwanese independence movement as a whole. We want to break free of the false contradiction that groups operating outside of the system should not participate in elections. There were some criticisms along those lines when we were forming the party as well, this time around. But I believe that perspective isn’t totally thought out. I won’t say they are wrong, but there’s no way to advance the rising tide of Taiwanese democracy in that way. BH: The last thing I want to ask is, is there anything else you want to say? 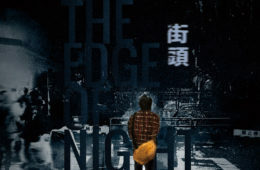 Not only to Taiwanese readers, but to international readers. TTK: Whether Taiwanese readers or international readers, I think there’s not much understanding of what exactly motivates one to advocate Taiwanese independence. The first point of confusion is that many people believe that the ROC is already independent, so Taiwan doesn’t need to be independent. But in truth, the ROC isn’t a country, just because it has the word “republic” in the name, people mistake it as a nation. It’s the name of a government-in-exile. Moreover, in regards to Taiwan, in 1895 Taiwan was already cut off from China when it became a Japanese colony. 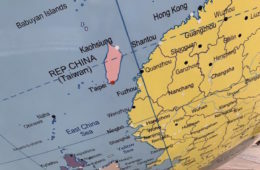 Taiwan was already divided from China in 1895. Taiwan is not wanting to be independent from China again. The meaning of Taiwanese independence is that Taiwan is currently kept in the past by the ROC government through the ROC constitution and reunification with China is written in the constitution. This doesn’t suit Taiwan’s current social development. So we believe, first, it needs to be understood that Taiwanese independence isn’t independence from China. It’s ending the ROC government-in-exile’s rule and the ROC constitution, which is the old constitution from China, and establishing a new constitution. I think that’s what both international readers and many Taiwanese don’t understand. 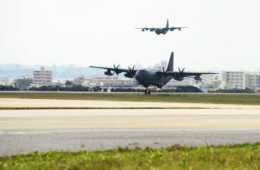 They often equate Taiwan with the ROC. 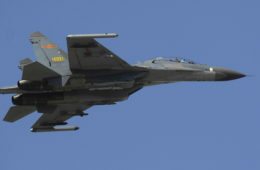 The ROC of course controls Taiwan right now, but it doesn’t represent Taiwan. Whether Taiwanese or from abroad, a lot of people don’t understand this ambiguous relation. There needs to be more awareness made of the complications of this ambiguous relation.